Since 1999, TCPP has been certifying customers, partners, consultants, and internal Teradata employees on Teradata technology. Our goal is to provide a high quality, high value certification that is meaningful to all stakeholders. Help us protect the value of the TCPP. Aware of a security breach? *Teradata Ethics Helpline is a 24-hour service maintained by an independent third-party. Caller anonymity is maintained and no retaliation is taken. What is non-independent test taking (NITT)? NITT is when a candidate uses external influences to take an examination. NITT is a breach of TCPP’s exam security policy. Teradata has identified methods to identify and detect NITT. Candidates identified as NITT will be banned from the program and will not be allowed to take Teradata certification exams. Violating any TCPP security policy may result in actions including but not limited to exam center dismissal, invalidation of exams/certifications, and being banned from testing. Exam candidates are not permitted to bring personal items including phones or any type of electronic device, wallets, papers, notes, books, etc. into the testing room. If a prohibited item is found in the testing room, the candidate’s exam will be suspended and void. Review the full security policy in the link below. To appeal an exam invalidation or program ban, please send an email to TCPP.Security@Teradata.com. Teradata reserves the right to make all final exam validation and program banning decisions. The TCPP's Exam Candidate Agreement is the legal contract between you and Teradata regarding Teradata Certification, including NDA clauses. All Candidates must agree to the Exam Candidate Agreement prior to beginning any Teradata Certification Exam. We highly recommend that you review the applicable TCPP Exam Candidate Agreement PRIOR to your test date. Privacy of your test results and demographic information is referenced in the Teradata Candidate Agreement. Banning details for currently supported certification tracks. If you are notified that you are eligible for reinstatement after being banned, you must accept the Reinstatement Terms and Conditions. The Pearson VUE staff will guide exam candidates through the steps that need to be taken prior and during testing. These steps were created with security of exam candidates and TCPP exams in mind. Pearson VUE staff will ask you to empty your pockets as well as take off your glasses so they can be inspected. Having any item not specifically permitted in the testing room, such as a phone or watch. Removing test items from the center. Providing false information when applying for the certification program. Pearson VUE proctors are trained to observe exam candidates. Unusual behavior during an exam administration is strictly monitored and responded to. Test center employees have been trained to watch for unusual behavior and incidents during exams. Candidates are monitored with audio and video. Performance: Regardless of the environment—Amazon Web Services (AWS), Microsoft Azure, Teradata Cloud, or On-Premises in your own data center— IntelliCloud delivers the most performant analytics software for always-on analytics in the cloud. Why settle for less? No alternative comes close to the chart-topping performance of Teradata software, which also means you benefit from the lowest cost per query. Security: Security is our number one priority with IntelliCloud. We offer peace of mind with enterprise-class security while also enabling intuitive web-based account administration. We monitor your environment 24x7x365, we encrypt your data in motion and at rest, and we’ve invested in third-party audits to demonstrate compliance with the ISO 27001, SOC 1 and 2, PCI, and HIPAA standards. Availability: We contractually guarantee the availability of your analytics platform with IntelliCloud. Our Service Level Agreement for up to 99.9% uptime translates into more productivity and higher satisfaction for your data scientists and business users. Daily backups yield peace of mind for situations when you need to roll back to an earlier version of the operating environment..
Operations: One of the best things about IntelliCloud is that we handle infrastructure-level tasks for you—software patches, version upgrades, user administration, performance reporting, and support ticket resolution—so that you can focus on managing your business rather than the technology. Go to the Resources section to read success stories and watch customer testimonials about they are putting IntelliCloud to use. When contemplating alternatives for enterprise analytics in the cloud, it’s easy to become enamored with the marketing chatter pertaining to cloud benefits, yet lose sight of the original requirement for advanced analytics: data-driven insight leading to better business outcomes. Having flexibility, elasticity, scalability, and pay - as - you - go consumption count for little if the environment cannot fully support your current and future business needs, or requires your team to re - code, re-train, and re - orient the entire analytic ecosystem.This is where IntelliCloud stands above all others. IntelliCloud delivers the most performant and secure analytics platform in the cloud, enabling you to get up and running quickly and scale up and down as you evolve. Because we manage the infrastructure for you, guarantee system availability, and offer the lowest cost per query regardless of deployment choice, your team can save time, focus on delivering actionable insights, and get the most value from your investment. AWS public cloud infrastructure: m4.16xlarge with 20TB per instance, m4.10xlarge with 10TB per instance, or m4.4xlarge with 5TB per instance. Block level compression is enabled. Can scale instance sizes up or down and can scale in and out in 1-instance increments up to 64 instances for additional CPU and storage capacity. Azure public cloud infrastructure: DS15_v2 with 5TB per instance or DS14_v2 with 5TB per instance. Block level compression is enabled. Can scale instance sizes up or down and can scale in and out in 1-instance increments up to 64 instances for additional CPU and storage capacity. Teradata Cloud with IntelliFlex: Either IFX.Med with 75TB of SSD CDS (customer data space) or IFX.Sm with 45TB of SSD CDS. Dual 18-core CPUs and 512GB RAM per R630 node and can "unfold" for additional CPU power. Includes full redundant storage arrays and fallback with 40Gbps InfiniBand node interconnection. Teradata Cloud with IntelliBase: 7.4TB of HDD CDS with dual 14-core CPUs and 256GB RAM per R730XD node. Includes 40Gbps InfiniBand node interconnection. Can expand in 1-node increments for additional CPU power and storage capacity. Compression is enabled by default for all user tables on IntelliCloud systems. Actual compression rates will vary depending on data demographics—however rates of 3X or higher compression are common. IntelliCloud service currently supports Teradata Database 15.10 (all) or Teradata Database 16.10 (Azure). The minimum number of nodes that can be specified in a single IntelliCloud system is two. Easy. IntelliCloud systems are elastic in that they can be scaled up and down (adjusting capacity of compute instances) and/or scaled in and out (adjusting number of compute instances) depending on resource availability. The IntelliCloud Management Console is the web-based interface through which you monitor and adjust resource allocation for your system. Security is the number one priority for Teradata IntelliCloud services, and that’s why we deliver across-the-board support for every facet of cloud security including physical security, network security, data protection, monitoring, and access controls. The IntelliCloud Information Security Management System gets annual third-party verification to ensure compliance with standards. These audit reports and the latest certifications are available upon request. 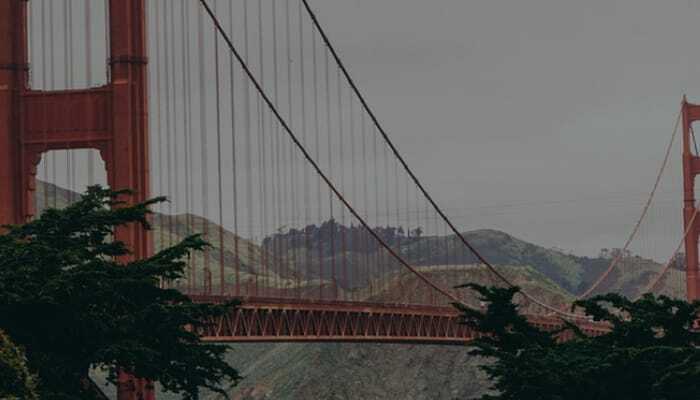 Teradata IntelliCloud supports secure connections for data transmission. Your cloud systems are only accessible via IPsec VPN tunnels between your premises/data center and IntelliCloud, providing an additional layer of security. All traffic is encrypted. To keep “data at rest” secure, Teradata utilizes self-encrypting drives. Yes. Teradata has invested in rigorous third party audits of its IntelliCloud as-a-service offerings in order to demonstrate compliance with industry security regulations and industry best practices such as ISO 27001, SOC 1, SOC 2, PCI, and HIPAA. Please visit this page for more information on IntelliCloud security. Read the press release on 3rd party audits for security and compliance. Teradata IntelliCloud systems are LDAP ready. By default, systems will use a native database authentication method. In Teradata Database, users DBC (superuser), SYSDBA (database management), and SECADM (security administration) are provided with TD2 authentication and default passwords. It is important to change passwords for these users as soon as you can access the system. User SYSBACK is created on all Teradata systems and its password is secured by Cloud Operations. The SYSBACK user’s password should not be changed because it is used to execute daily backup operations on the system. Yes. Teradata will use commercially reasonable efforts to make the Teradata IntelliCloud service generally available 7 x 24 x 365. Teradata will target a Service Level Agreement (SLA) for IntelliCloud (excluding planned downtime) of up to 99.9% measured on a monthly basis. All nodes for IntelliCloud on IntelliFlex or IntelliBase are configured using RAID 1 protection, which provides redundancy at the hardware/disk-drive level. If a single drive fails, Teradata Database will continue to function without interruption. The failed drive will be replaced by Teradata Cloud Operations as soon as possible and the drive will rebuild automatically. In the unlikely event that both copies of a RAID 1 pair fail, the Teradata Database has been configured to use Fallback protection on all tables. Fallback provides a layer of protection that extends beyond just a loss of redundant hardware. With Fallback, a secondary copy of your data exists on a different node (for Teradata systems with two or more nodes). The database will go through a restart and continue to function with a reduction in performance. Once the failed drives are replaced, the Teradata Database will rebuild the new drives using the Fallback data copies. Some scaling operations may be accomplished with just a database restart, which is a brief period. For other during scaling operations, Teradata systems are available for read-only operations; you cannot load or change data but can continue to run queries and reports. When the new resources are ready, there will be a few minutes of scheduled downtime to transition from the former to new resources. Discussions regarding how you felt about the exam experience are acceptable but there should be no discussions related to the exam questions/content. There are sites on the Internet that claim they have exam questions and answers and that guarantee you will pass. Candidates should not rely on those claims or pursue these materials. They are a source of misinformation about Teradata certification. Teradata monitors the web and has found such materials and continuously analyzes their validity and uses them as part of our data forensics. Teradata utilizes data forensics to monitor testing centers and individual exam results providing statistical evidence that is used to corroborate evidence of anomalous test results. Usage of such materials is a Teradata security policy violation and can result in penalties including voiding of exams and banning from the TCPP program. Do NOT use these materials to prepare for TCPP exams. If you are aware of anyone promoting these materials or Teradata exam material exposure, email tcpp.security@teradata.com. Food and water are not permitted in the exam room. If you have special circumstances requiring food or water, contact the TCPP at certification.teradata@teradata.com. No. Phones are not permitted in the testing room for any reason. Teradata exams do provide reminders of remaining time while testing. It is critical to remember the test center policy regarding what can/cannot be brought into the exam room. At Pearson VUE, your security matters to us. You will experience some - or all - of the security measures featured in this video. Be prepared; for specific security requirements, please check the relevant documentation/website/FAQ information related to your test program.